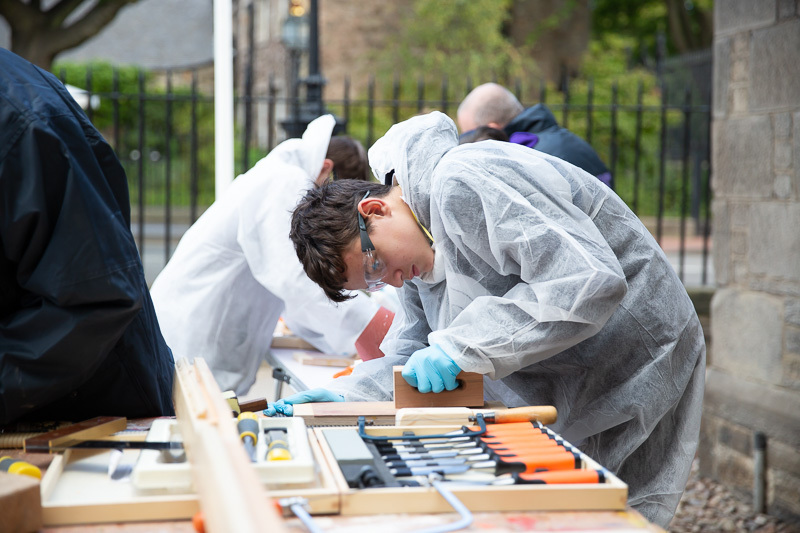 School pupils learn traditional building skills at Scottish Parliament event Secondary pupils from schools in Glasgow, Stirling, Perth and Musselburgh took part in a two-day traditional building skills event held at the Scottish Parliament on 11 and 12 September. 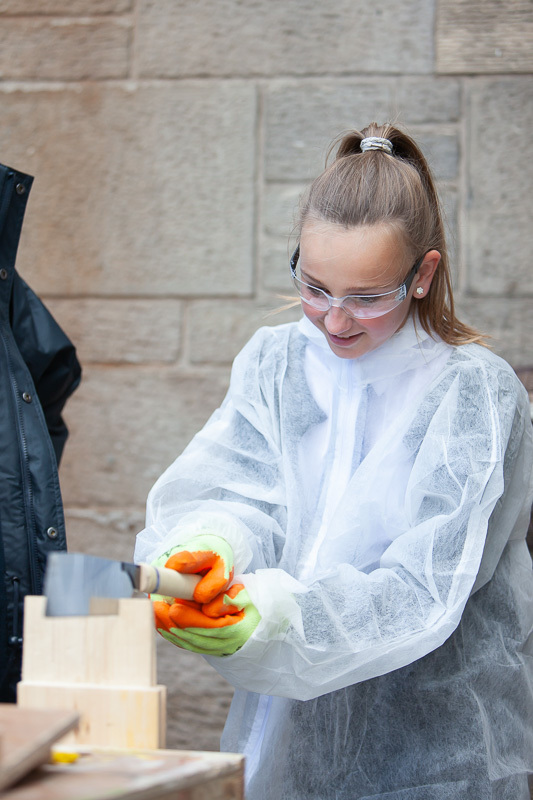 The hands-on practical workshops provided 13 to 15 year olds with the chance to discover more about traditional skills apprenticeships, and allowed them to have a go for themselves. 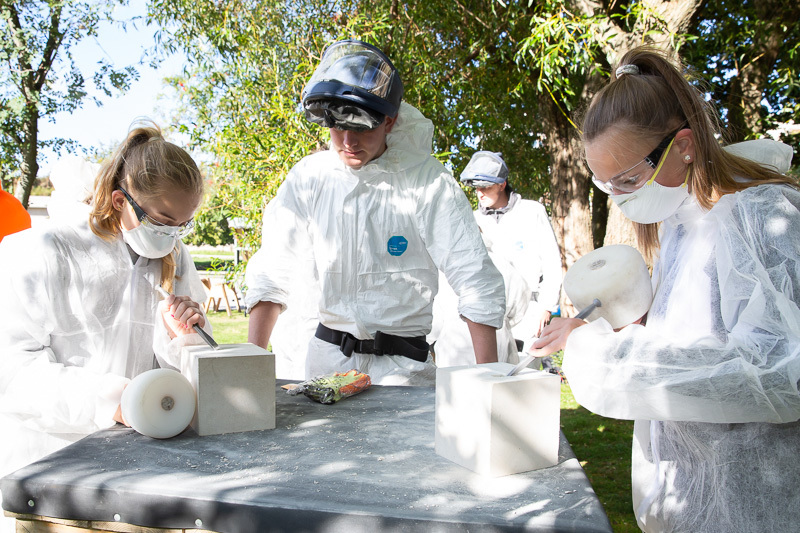 They tried their hand at stonemasonry, roof slating, joinery and painting and decorating, expertly assisted by current Modern Apprentices in these trades. The event was sponsored by Gordon Lindhurst MSP for Lothian. 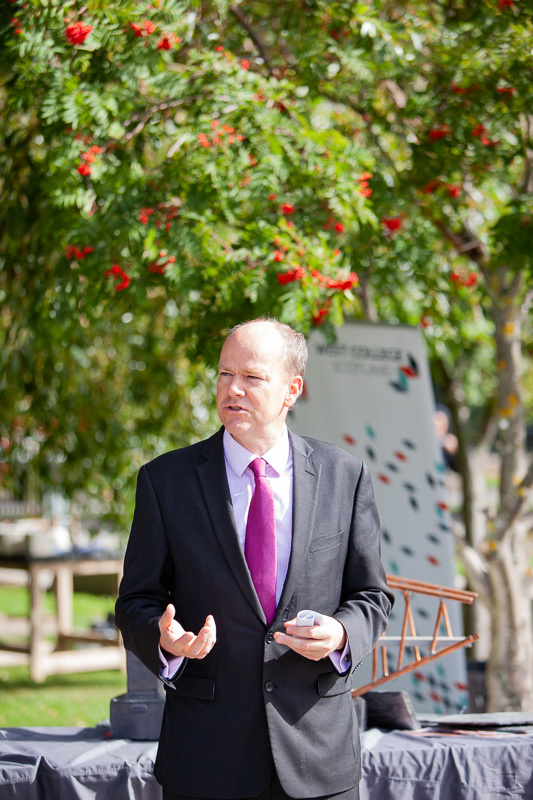 He said: “Traditional building skills demonstrations are hugely valuable in raising the profile of the vital skills needed to maintain our unique built heritage. 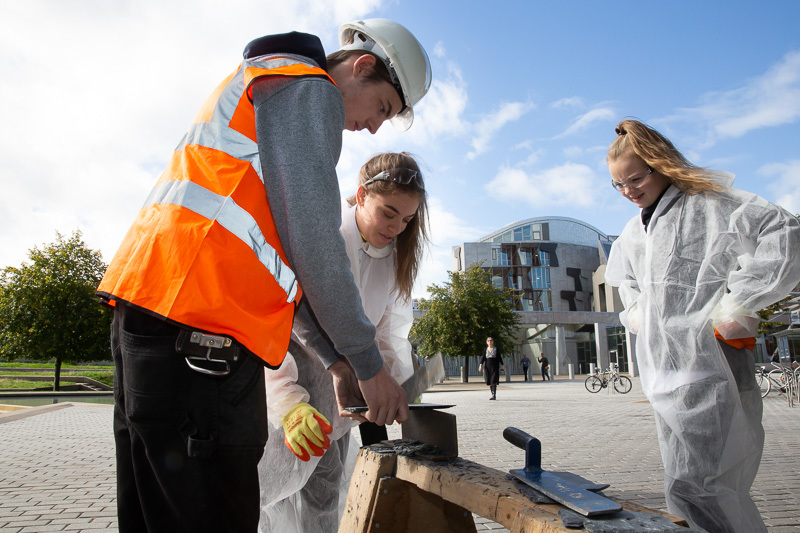 “Having attended workshops elsewhere, I am delighted to welcome the Scottish Traditional Building Forum and the Construction Industry Training Board to the Scottish Parliament, alongside the apprentices who can show off their skills. The event was organised by the Scottish Traditional Building Forum as part of Construction Scotland’s, Inspiring Construction programme. 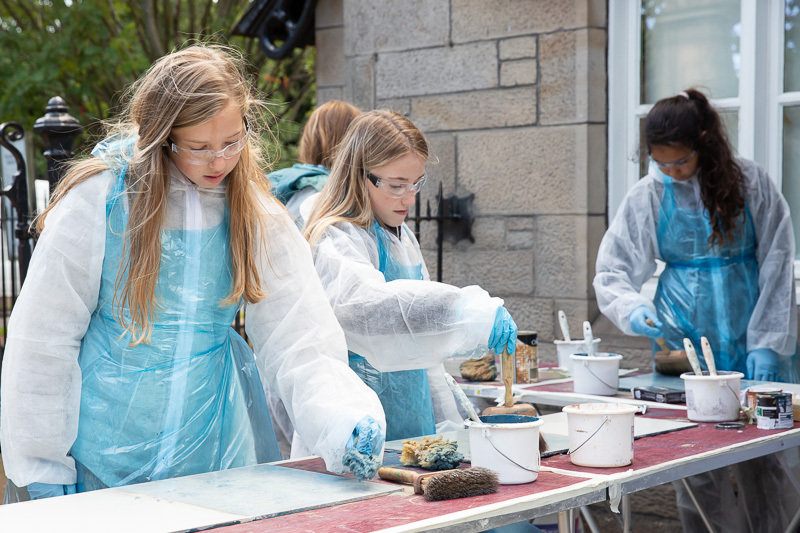 It was supported by a range of partners including CITB, City of Glasgow College, West College Scotland, Dundee and Angus College, Edinburgh College and Developing the Young Workforce. Ken Gillespie, Chair of Construction Scotland said: “The construction industry currently employs 233,600 people, but it’s estimated that 28% of that workforce will need replacing by 2027, creating at least 21,000 vacancies. Attracting more potential employees to our industry to address this imminent skills gap is one of Construction Scotland’s top priorities. 19 MSPs kindly visited the event and took time to discuss the career journey of the apprentices demonstrating the skills and school pupils attending. They all took time to receive a mini-masterclass in the trades from the apprentices and college lecturers involved in the event.